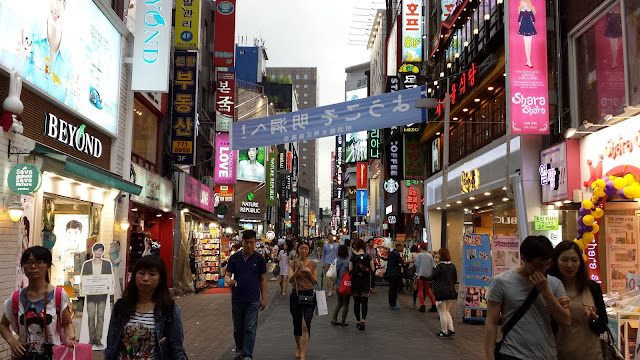 some of my favourite things: Myeongdong 2013 - Must Shop! Myeongdong is a much loved place for both tourist and locals. 1. 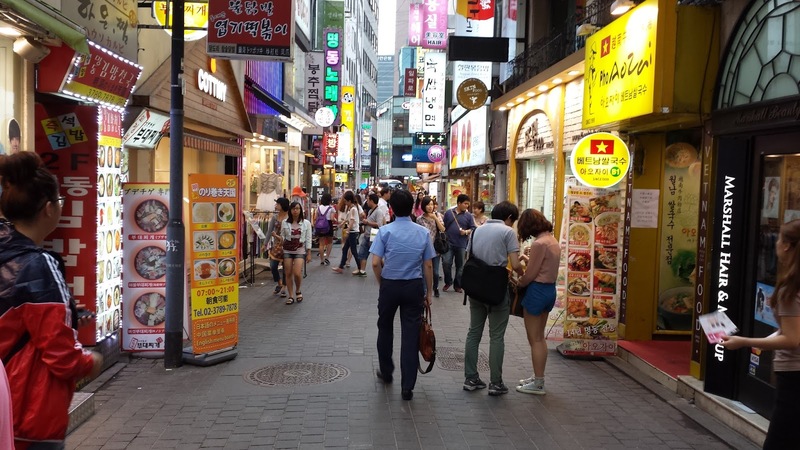 It’s easy to access (via Line 2 & Line 4), and right nest to many popular places like Seoul Tower and Dongdaemun, hence, an easy location to incorporate into your tour itinerary. 2. 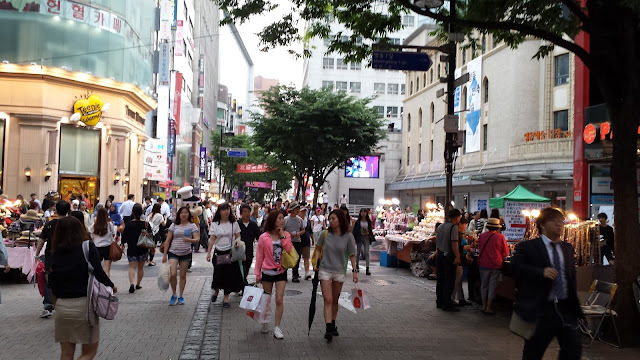 It’s HUGE in area size, so you can spend the whole day there walking about, people-watching and shopping non-stop. 3. It has a great variety of shops. 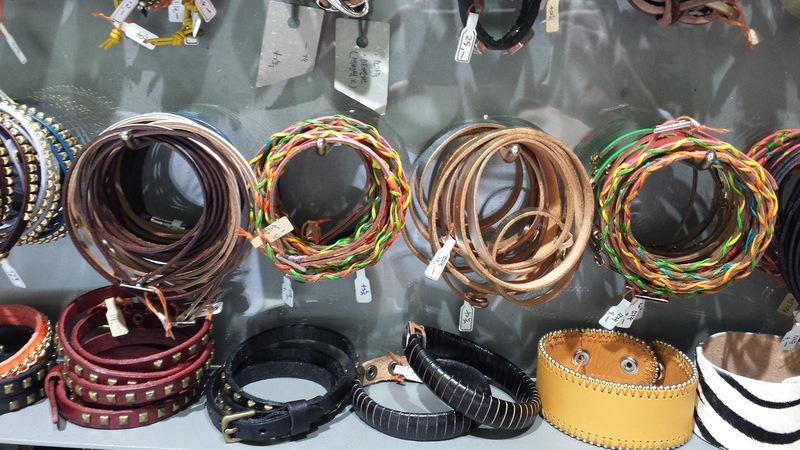 From skincare to make-up to accessories (and I mean all sorts of accessories from head to toe, even for your pet and your handphone!) 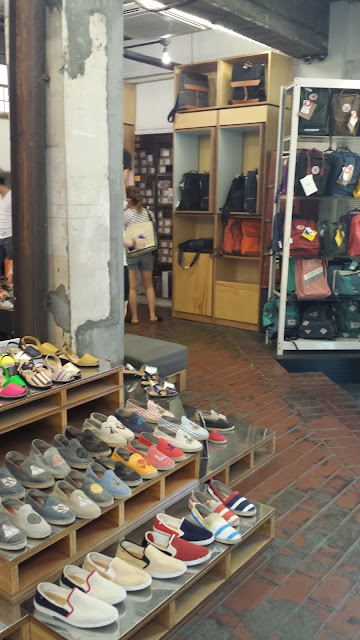 to clothes (and again, I mean all sorts of clothes, from expensive ones to inexpensive ones) and many more super cute and fun stuff. 4. 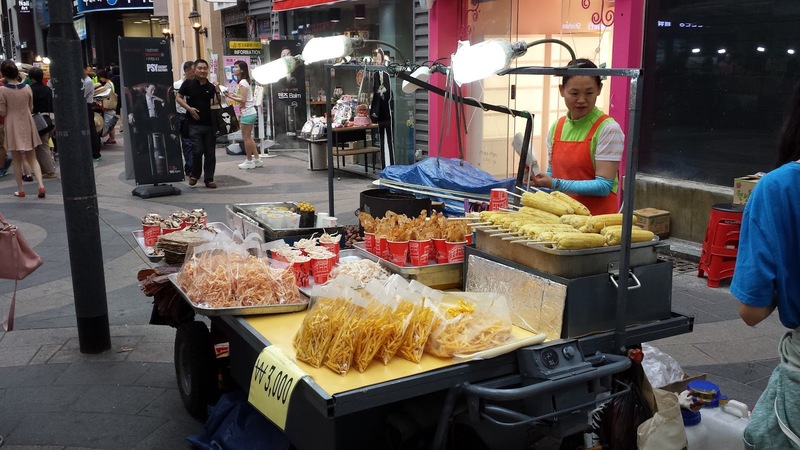 It has A LOT of restaurants, cafés random street hawkers selling street food etc. 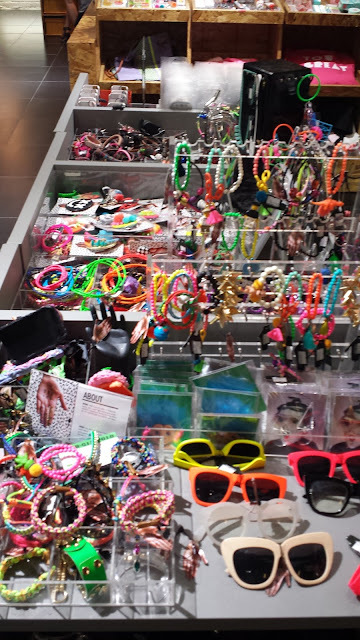 You can shop – eat – shop –drink – shop… and then drop! And the cycle goes on. 5. As it is close to Namsan Towers, you may also easily walk to the Namsan Elevator that will bring you to the Namsan Cable Car Station which will bring you directly to Nasam Tower and see the spectacular city scene. As I have mentioned in my previous entry, the first place to go is the Seoul Centre for Culture & Tourism – located at a building called M PLAZA. 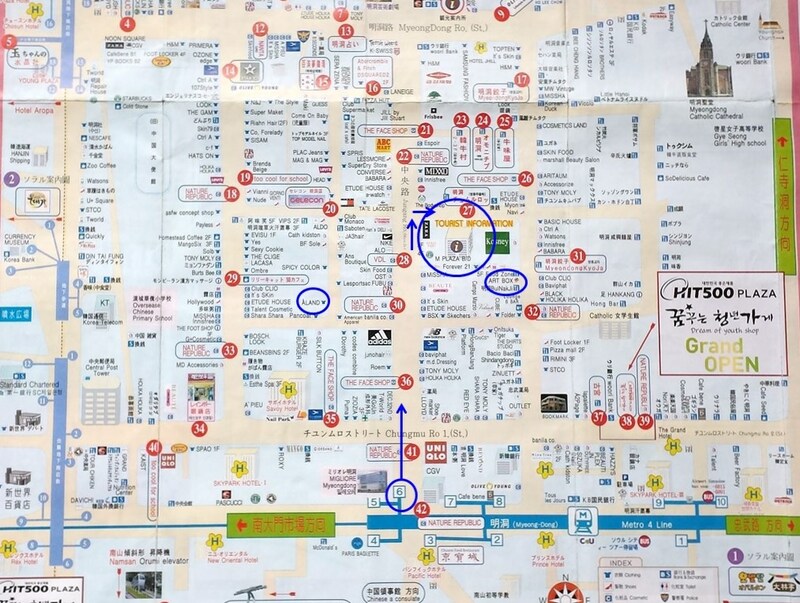 It’s on level 4 (or 5) I can’t remember, get a map of Myeongdong, so you will be able to identify where you are heading and where you want to head to. You need this cos Myengdong is so big and it has so many different lanes that all look the same. 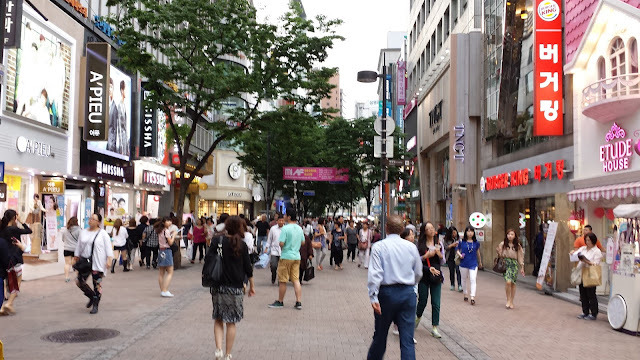 Imagine turning into every lane and seeing Nature Republic and Etude House in every lane… yes.. you will wonder if you have already walked pass this one. *Please refer to previous entry for the other things you getto do at Seoul Centre for Culture & Tourism. Those locations marked with the red dot & number are the places that are highly recommended to go by the creator of the map. 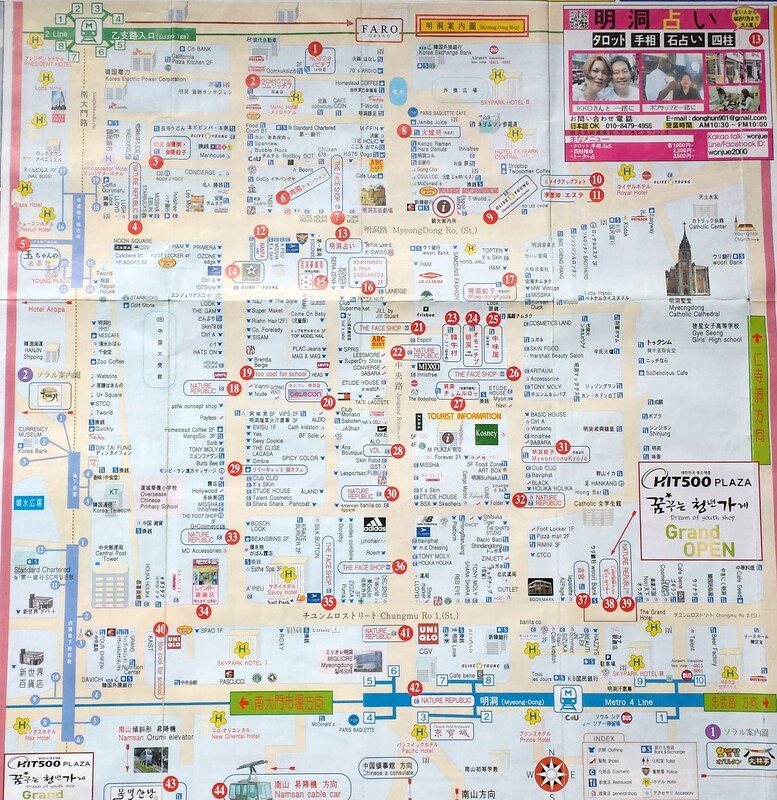 As this map is made for Japanese tourist, it should be highly reliable as Japanese are amongst the most meticulous and thoughtful people, so their map recommendation would have highlighted the best places to eat, shop, go for services like haircuts, massage etc. 4. 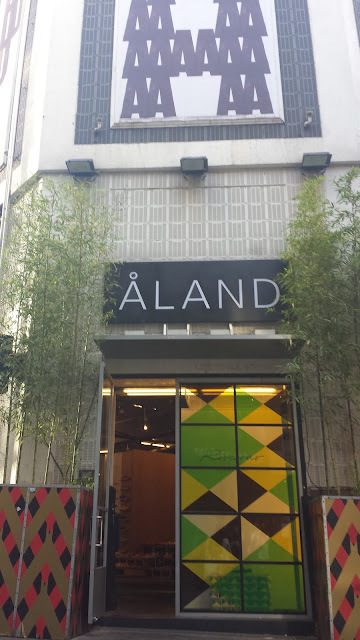 RANDOM little shops that sells cardigans and classic t-tops for only 10,000 won (about S$12), they are located in the little lanes - keep your eyes open! What I bought in Seoul? 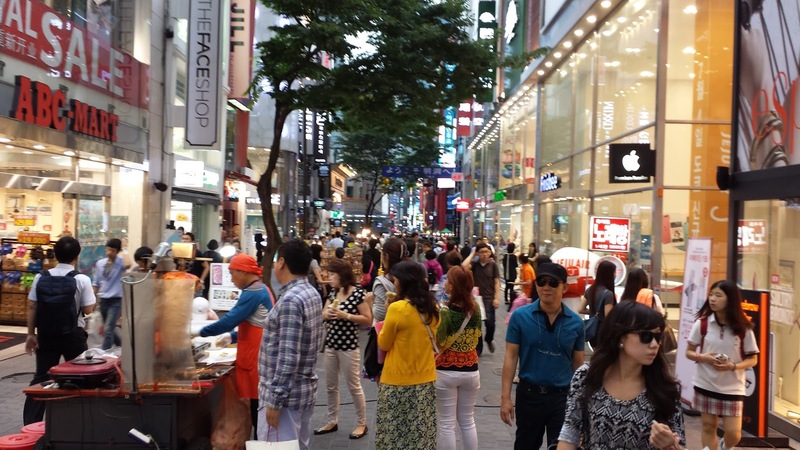 2013 Dongdaemun's Shopping Scene and comparisons!